Some readers may find the title strange; but truth sometimes is strange. The truth is that you need a certain degree of readiness before you jump on to the entrepreneurial bandwagon. By readiness to become an entrepreneur I mean – whether are you disciplined, motivated and organized enough to become an entrepreneur. 1. Are your ready to slog? If you want to create a successful enterprise, you should be ready to work for long hours. 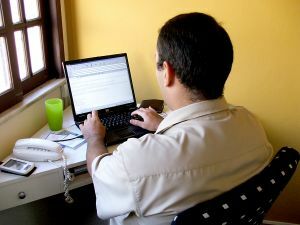 You may have to slog it out in front of your computer, waiting at the office of a potential client and writing proposals to potential partners. Till the time you attain the size to afford a facility manager you will have to run errands yourself. These are what I call the Perils of being the master of your own destiny. You will have to work hard to make a mark. And once you succeed, you will have to slog hard to maintain your position against competition. Entrepreneurs hanging out in Page 3 parties, gong to expensive cruises, owning a yatch may not become a reality for you any time soon. (In fact owning a yacht is not suiting Oracle honcho Larry Ellison too much). Going to hip parties, and getting interviewed by media, all may happen but not when you start. It is possible after you have done your bit. 2. Do you have the energy levels to pursue entrepreneurship? It calls for high energy levels. You need the energy to sail through long hours of brainstorming. You need to think about new ideas and create plans. There may be instances when you will have to greet clients with a smile even when you are tired. If you plan to take a bootstrapped approach in building your business then you will have to wear various hats (strategy, sales, PR etc.) Better if you can find a partner who compliments your abilities. If you are a good hacker then find somebody who can do customer interface or somebody who can evangelize your product. 3. Are you a good finisher? People start business because they feel strongly about what they are planning to do. At that point motivation is high and mostly the bright side is visible. But there can be times when going gets tough. In such situations, more than motivation the discipline and commitment to face complex situations is required. Such attitude is called the finisher attitude. It goes beyond the initial level of excitement which prompts one to start something new. When you start an enterprise on the above footing, you will stick to it and eventually succeed. This is a very important trait if you want to succeed in any part of the life. As somebody has said – One needs to stay long enough on course to arrive at the destination. If you doubt about your finishing skills then find a partner who compliments your skill-set and who is a good finisher. 4. Are you motivated enough to do it? What is your motivation to become an entrepreneur? Do you want to become an entrepreneur because a young Haravard drop-out is being offered a reported $ 1 billion for a company he started 2 years back or because you saw somebody on the cover of Business Week magazine or a young boy with a simple idea made a killing in a short span of time? Is it because one of your distant relatives made a little fortune as an entrepreneur? Ask three gentlemen (Mark Zuckeberg, Kevin Rose, and Alex Tew) in question above, did they do it because they were aware of the market potential of their respective ideas. I doubt. They did it as a hobby in one case and as a small gig to make some money in another. With some luck and lots of slogging they became what they are now. These are good examples for taking inspiration; but chances of you success will increase if you are doing something because it gives you satisfaction to create. Another scenario that has chances of bringing success – you realize that What you did last summer (the project work… I mean) can be a potential spin-off and start working on it. Now let’s move to what arguably is the most popular reason of people wanting to become entrepreneurs. Don’t you hear so many individuals showing their distaste for taking orders from their boss? They cite this as the primary reason of their willingness to become entrepreneurs. Are you doing it because you do no want to take orders from your boss? For a change think about taking orders from a client. What about taking order from an advertiser if you are a media owner. Learn to take orders early in life without compromising on your self-esteem. When the time comes to take order from your clients towards the success of your enterprise, you will be ready to serve them happily. This will pave the way for a grand success. So now you have answered all questions. Hope you found yourself ready to take on the next opportunity. Even if you realize that you are missing some ingredients from the list and your heart asks you to go ahead; then my suggestion will be to just do it. It is better to play in the field and loose than to be a fence sitter thinking that you could have won the game if you were in it. Who knows you will defy all rules to win the game. This is the best situation to be in; because the satisfaction that a win against odds brings, is immense. This can become one of the most cherished memories of your life. So, whether you start today or take you time to get ready, my wishes are with you. Let the success be yours. I will leave you with something interesting I discovered today. Some nuggets to be picked up. Stay tuned for more.